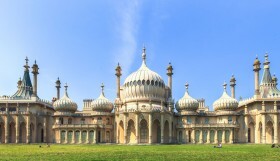 Though it may not be obvious at first, there’s a wealth of excellent bookshops in Brighton and Hove dotted throughout the city, you just need to know where to look. That’s where we come in people. 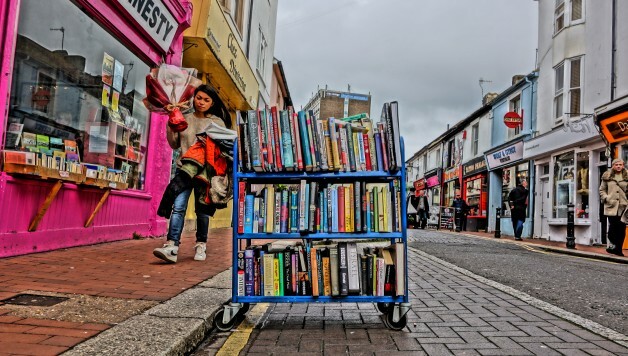 In a world of online book buying, the bookshop has had a rough few years and Brighton’s oldest bookshop, the iconic Two Way Books, had to shut its doors last year. Fortunately, there are still many staying afloat because, as we all know – nothing beats a good browse through a bookshop. Waterstones opposite the Clock Tower offers a warm atmosphere and a great range of books in the centre of town and we should cherish that there’s at least one nationwide book chain that still has its doors open. However, this article aims to shine a light on the little guys, the independents still standing strong and offering something unique. These bookshops are run and staffed by genuine book lovers and heading over to them will help out local businesses and make for joyous lost hours. These rare gems are also sociable cafes, places to get dressed up for, to find first editions, to get lost in, one is even a bookshop without a shop. Welcome to your first step into Brighton’s world of books. As any local would care to tell you, this is a straight up classic. 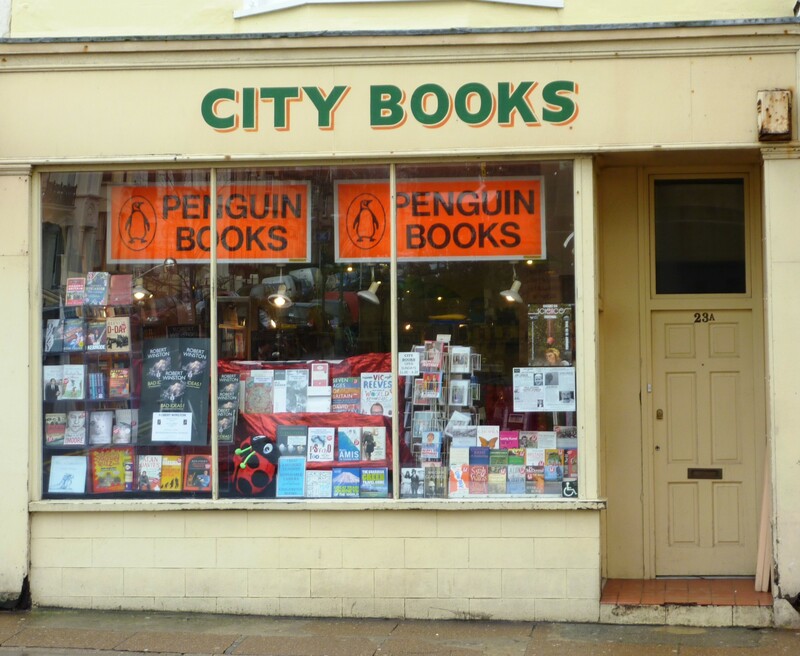 City Books was voted ‘The Best Shop in Brunswick’ and it’s also been shortlisted twice for the national ‘Independent Bookshop of the Year Award’. Spread across two floors this charming little place has a genuine authentic book lover feel as well as a wide selection and owners Paul and Inge Sweetman often put on events far and wide. When: 9.30 to 6.00 Monday to Saturday / 11.00 to 4.30 Sunday. 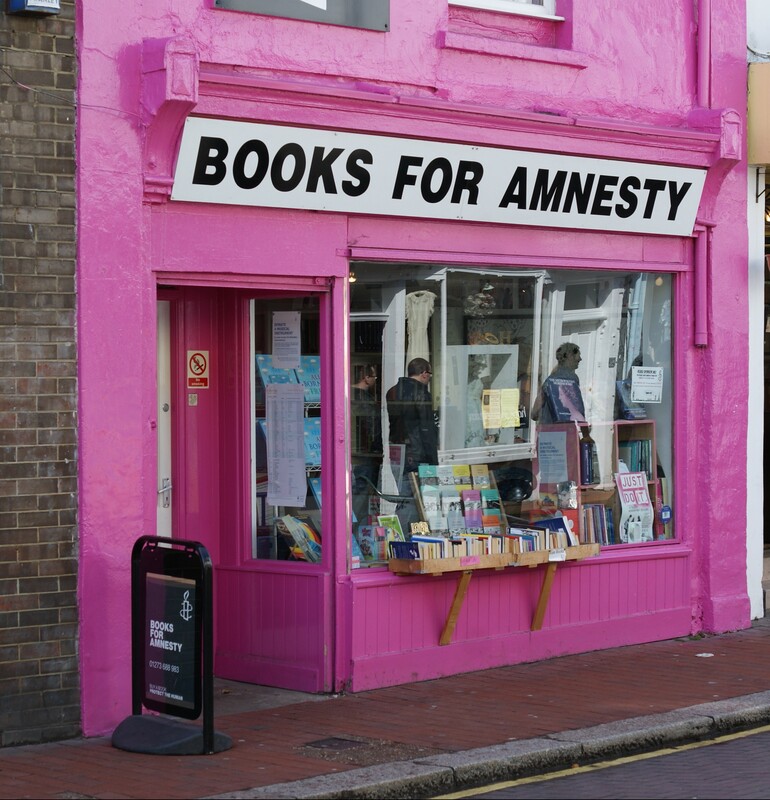 If this list is all about ‘proper’ bookshops in Brighton then this local favourite certainly fits the bill. 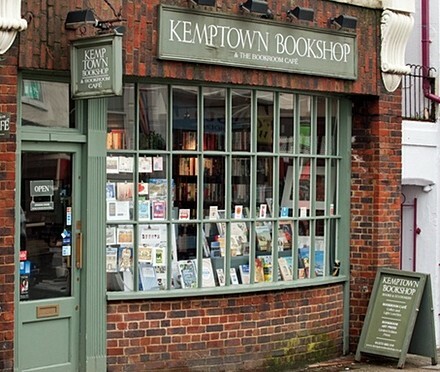 Having won a string of small shop and bookshop awards and a donation from James Patterson himself, this little Kemp Town gem with over 10,000 titles spanning the genres has got to be on any Brighton book lover’s list. You can also pick up handmade children’s toys and best of all, the shop is also home to Bookroom Art Press and you can pick up 20th Century British prints when you can take your nose out of your book. Standing pink and proud, every Brighton day tripper will have spotted this one on an amble down Sydney Street in the North Laine. Selling often immaculate first and second hand copies (as well as vinyls, comics, maps, chocolates and plenty more), you’d be forgiven for sometimes thinking this isn’t a second hand bookshop at all. Not ideal if you’re looking for specific titles – though there’s a surprising amount considering – but a great place to find something unexpected, help out a worthy cause and, like all good bookshops, a hypnotic space that you won’t want to leave in a hurry. And now for something completely different and utterly special. 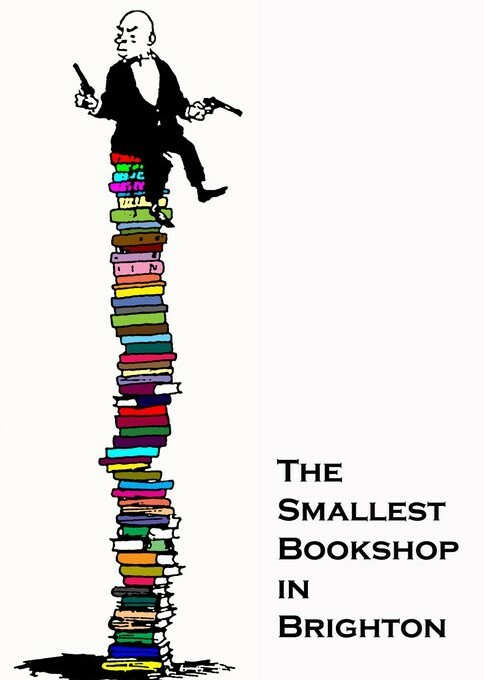 In the pioneering entrepreneurial spirit of our times The Smallest Bookshop in Brighton is a stroke of pure genius. They essentially set up mini libraries that nestle in the corners of cafes and bars so you can flick through a book in your favourite hangout or spark a literary conversation as you swill a pint. You can currently find these tiny ‘shops’ hiding in Fanny’s Cafe and Deli, The Dover Castle, The Caxton Arms, The independent and Mojo Coffee House. The Facebook page is also a great repository of local book news. Their slogan is “Eat, drink, be merry. And buy books” and I’m stumped to think of a better life motto. When: It’s complicated (see above links for a better idea). If there’s one thing most bookshops are missing, it’s probably a pirate ship. 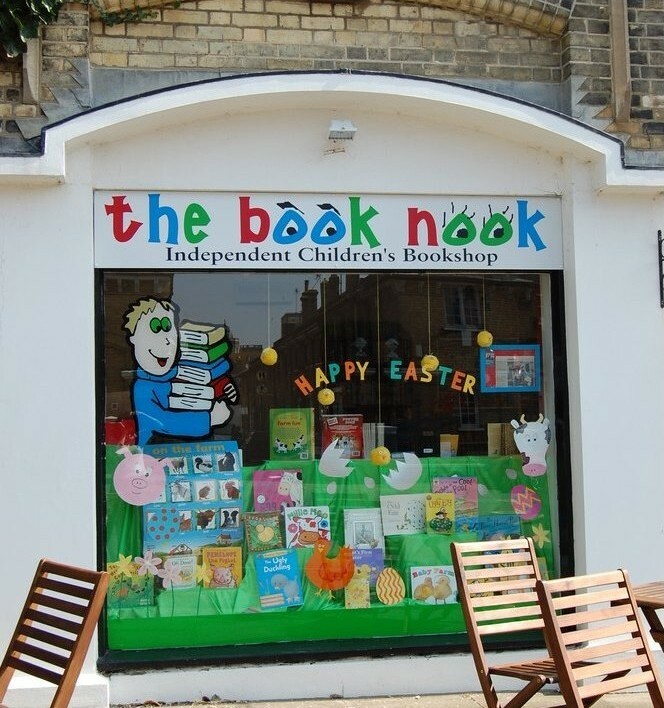 Thank goodness then that The Book Nook is plugging that gap at its childrens bookshop in the heart of Hove. Voted Children’s Independent Bookseller of the Year 2012 at the Bookseller Industry Awards, this isn’t your average bookshop. With a cafe for parents to relax while the kids play, it’s a great space to spend some time and the collection goes from infants to teen fiction. There’s also a tonne of events including storytelling, competitions, Father Christmas visits, Panto, author signings and competitions. Found on Kensington Gardens in the North Laine, Brighton Books is not messing around with a name like that. Like a Time Lord’s Tardis, this discerning looking shop is bigger than it might first appear, boasting two floors of classy high wooden shelves filled largely with second hand hard backs of all types. 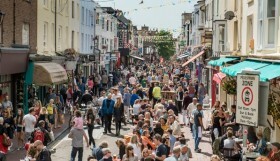 Though leaning towards the more expensive end of second hand books, there’s a reason as anyone looking for good quality, first editions or to find a beautiful looking book will undoubtedly find themselves browsing in the reverential atmosphere of Brighton Books. Don’t let the humble name fool you, this colourful comic book store is everything comic book lovers of all genres could dream of. 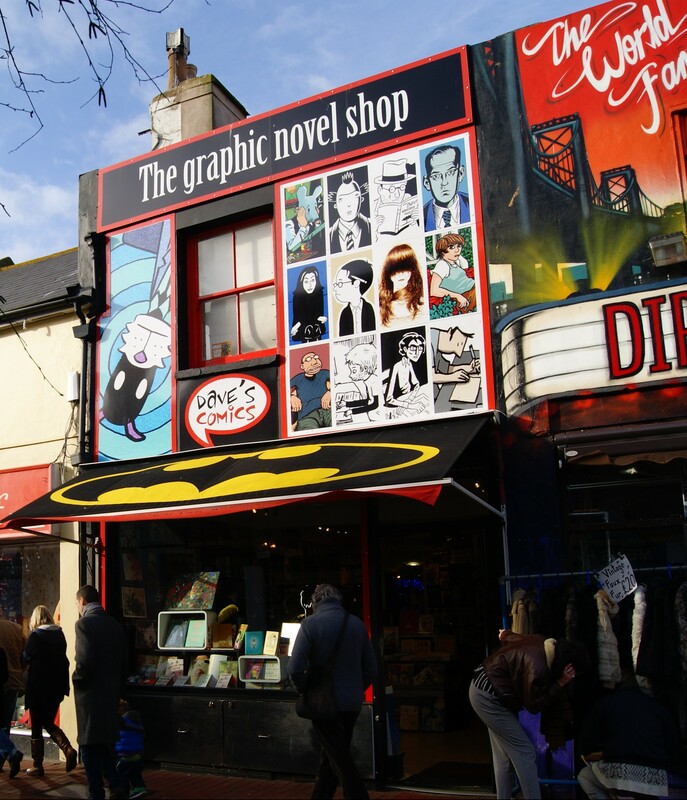 There’s everything from DC crime fighters to Guy Delisle; niche manga to pulitzer winning Art Spiegelman and even Brighton: The Graphic novel. If you haven’t started reading graphic novels yet, there’s a whole new world to explore of fantastic writing. 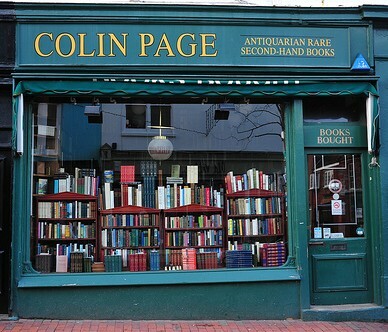 Spiral stairs, leather bound gems – every city needs a great antique bookstore and we’ve got ours in the form of Colin Page on Duke Street. Despite what you may imagine, you needn’t take out a small loan to pick up a book as there’s a great selection of cheap second hand volumes downstairs. 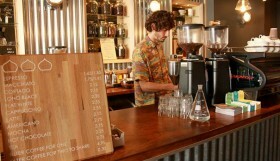 The shop doesn’t scream at you from the street to come in, having a distinct old fashioned quality and caring more for its books than its bottom line. Having said that, its bold green exterior is not easily missed and I’d hazard most Brightonians will know this place even if they’ve never been in. There’s no in-store cafe or celebrity autobiographies but it’s certainly not fusty, the staff always helpful and friendly. The next time you walk past, take a minute to pop in and you’ll emerge several hours later with a smile on your face and an old book in your hands you’ll treasure. It’s also a great place to get those dusty books lying around valued – much like the above independent bookshops in Brighton, you may be surprised at what’s they’re worth. 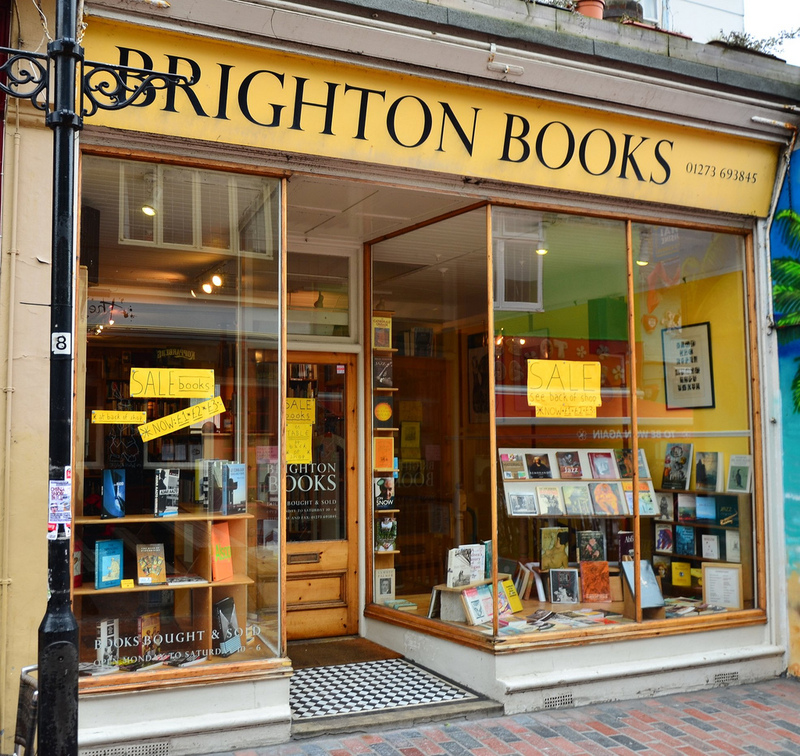 For a history of Bookshops in Brighton: Bookends: A Partial History of the Brighton Book Trade by John Shire can be picked up in some of the above shops or online.